Three couples regularly meet together for game nights: nights where they hang out together and play board games together (but not the high quality board games that true gamers play; Hollywood still focuses on appealing to the mainstream). Those three couples are probably designed to represent Americans in their thirties: one white couple trying to conceive (Jason Bateman and Rachel McAdams, our leads for the evening), one black couple in a bit of a marital crisis due to past adventures on the side, and one couple comprised of a guy who cannot commit and his improvised date for the evening. What follows is a very good comedy of the exact type one has grown to associate with Jason Bateman. Bateman’s highly successful brother (Kyle Chandler) is back in town, and here to shake up the last of our hero’s confidence as the less successful of the two has to look up to his older brother again. And that old brother is organising a special game night, one where one of the participants is getting kidnapped and the rest have to find them to win a special reward: the car of [Bateman character’s] dreams. Only that reality knocks in, and instead of a fake kidnaping one of our characters gets kidnapped for real. With the catch being, everybody else is sure it’s a game. The beauty of Game Night is in the comedy that develops as our movie developers. Our characters, busy as they are playing a game, and not realising the higher stakes at hand, spend quite a lot of their time discussing their life problems as they try to win their game / diffuse the kidnapping that actually took place. It is in those moments of high action that relationship problems are tackled (because, naturally, no one dares talks about these things under otherwise normal circumstances). 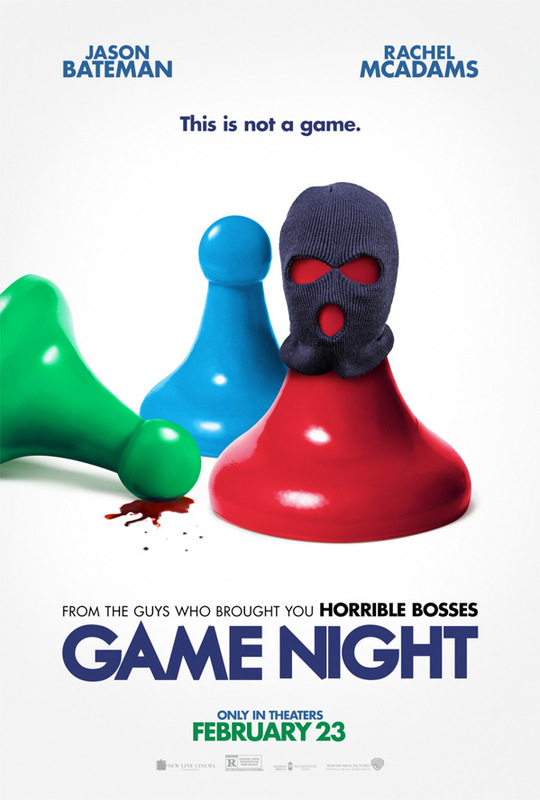 Thus Game Night becomes a movie most people would be able to identify with (and not only board gamers like yours truly). Throw in some good cameos (such as a Miami forensic serial killer), and Game Night should turn one particular night of your life into a particularly entertaining one. Just as long as you don’t try to make sense of the plot. Overall: 3.5 out of 5 crabs, and as seemingly silly comedies go - a pretty good one!